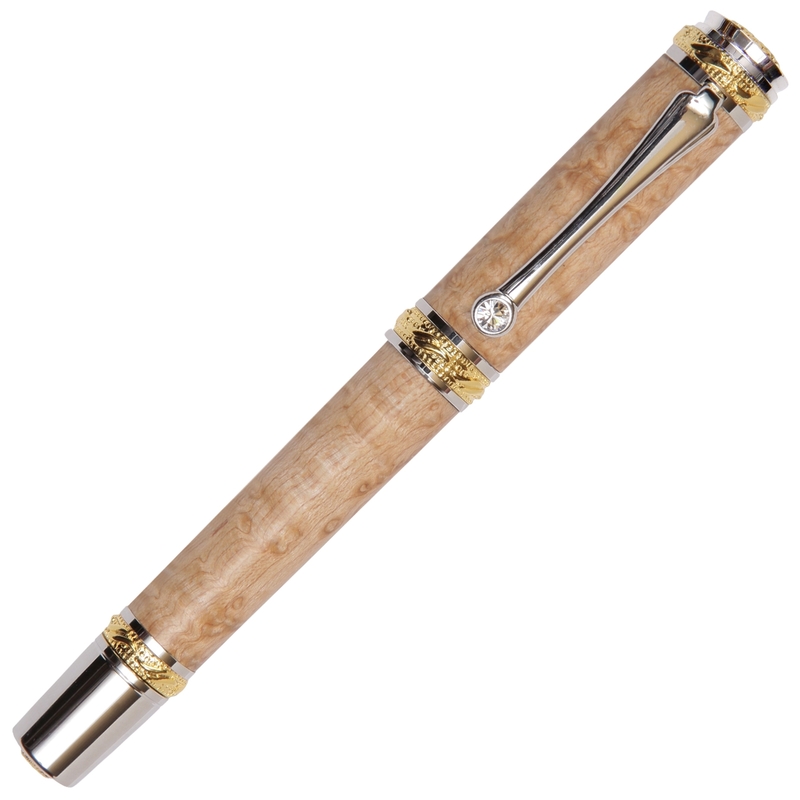 The Majestic Fountain Pen offers pen aficionados distinctive style and flair in a collectors grade pen. 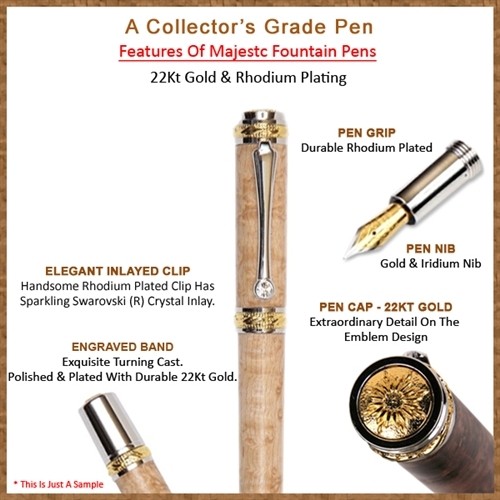 Its regal profile is accented with brilliant 22kt Gold plating on all components which showcases a sparkling Swarovski clear crystal on the clip. 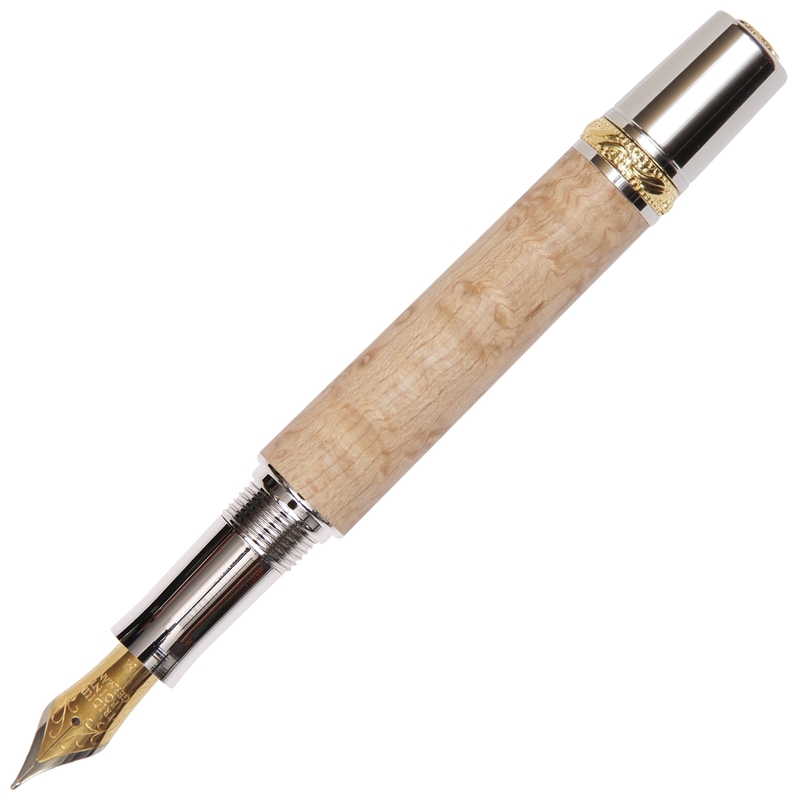 The body is handcrafted out of select Birds Eye Maple and highly polished to a sleek and smooth finish. 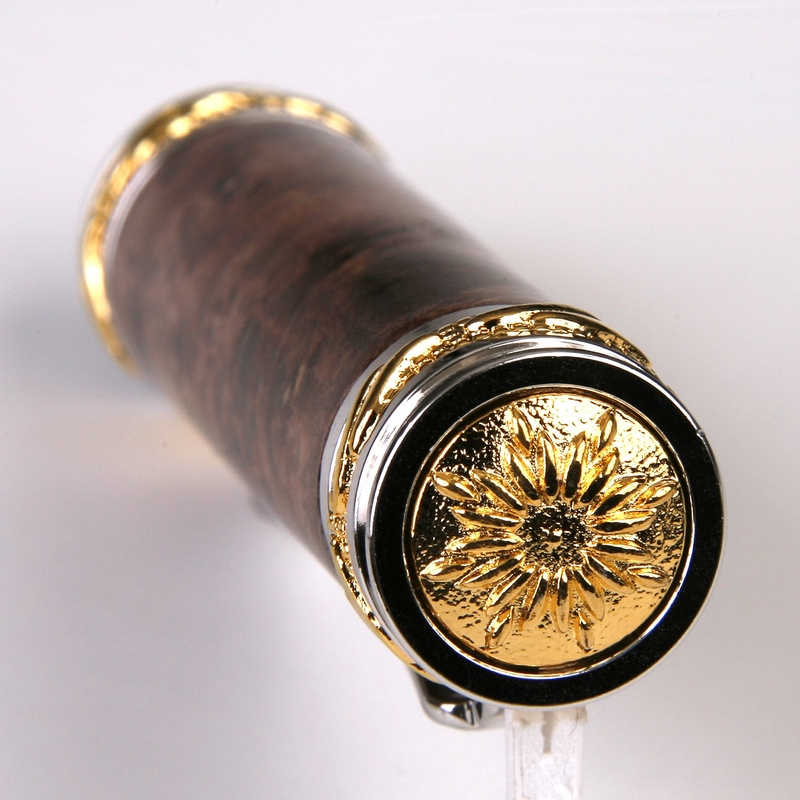 The accents rings, bands and caps are custom casted 3D raised designs. 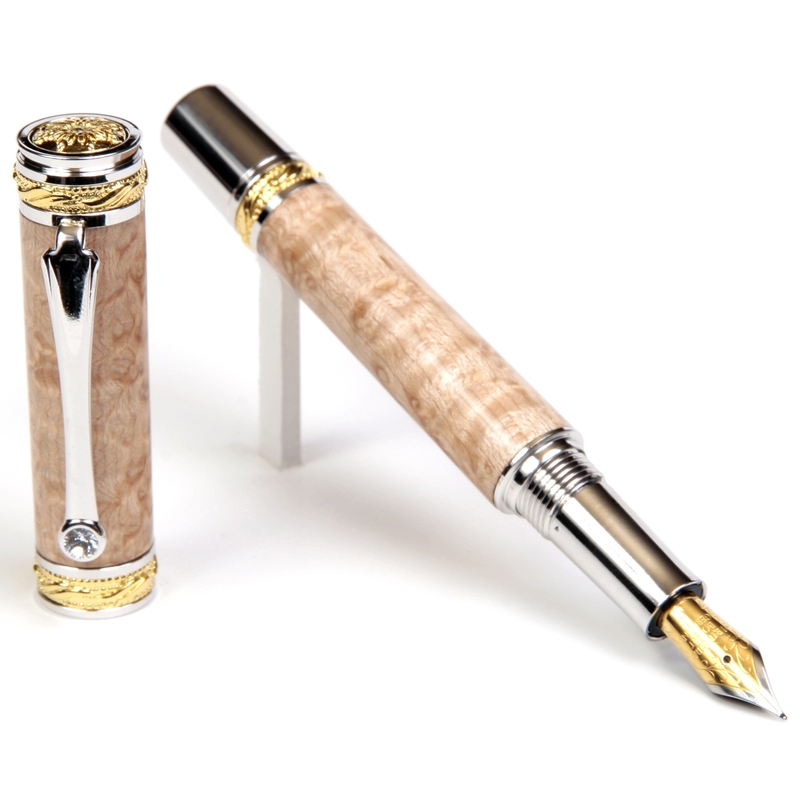 The combination of rich 22kt Gold hand-cast engraved insets, a top quality German made rhodium plated medium tip nib with genuine iridium point for smooth writing and dependable ink flow and a body designed from select Birds Eye Maple Burl to make a distinctive pen of unrivalled beauty.